"STEAM is what moves us forward"
The college of Science, Technology, Engineering, Arts and Mathematics, 19 different departments with an array of majors, minors and certificate programs working independently and together to ignite the dream that creates the steam that powers your future. Join us and get ahead! 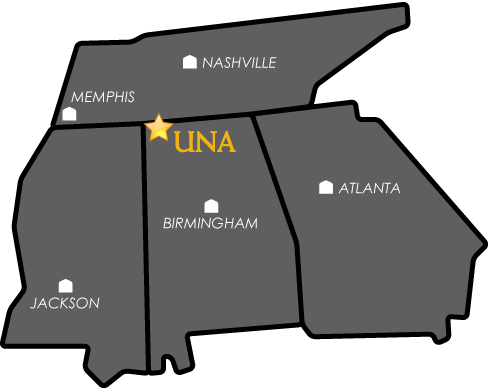 The University of North Alabama College of Arts and Sciences is committed to providing an environment within our campus and community that fosters knowledge, skill, artistic and cultural enrichment, research, and discovery by supporting independence, creativity, and innovation.